Gordana Rashovich, Mia Dillon and Brian Murray are currently appearing in Hartford Stage’s revival of Noël Coward’s A Song at Twilight, directed by former Artistic Director, Mark Lamos, who returns to celebrate the company’s 50th Anniversary Season. 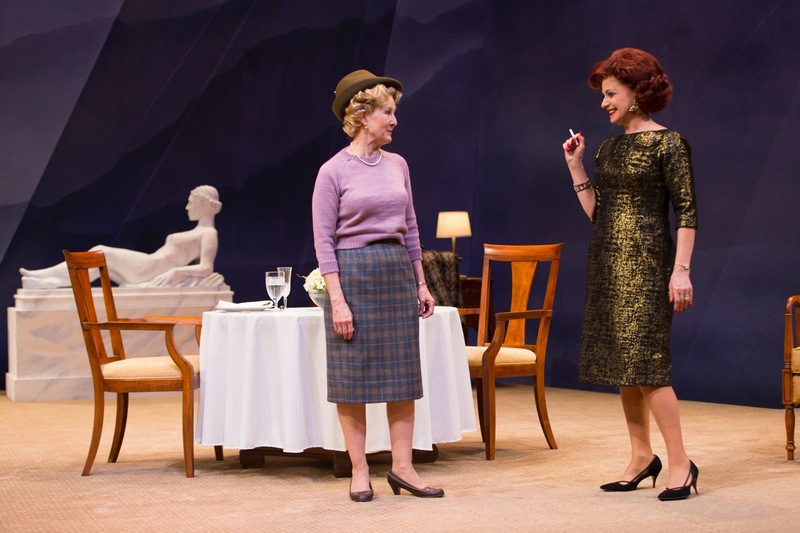 The co-production with Westport Country Playhouse began performances on February 20, and will continue through March 16. 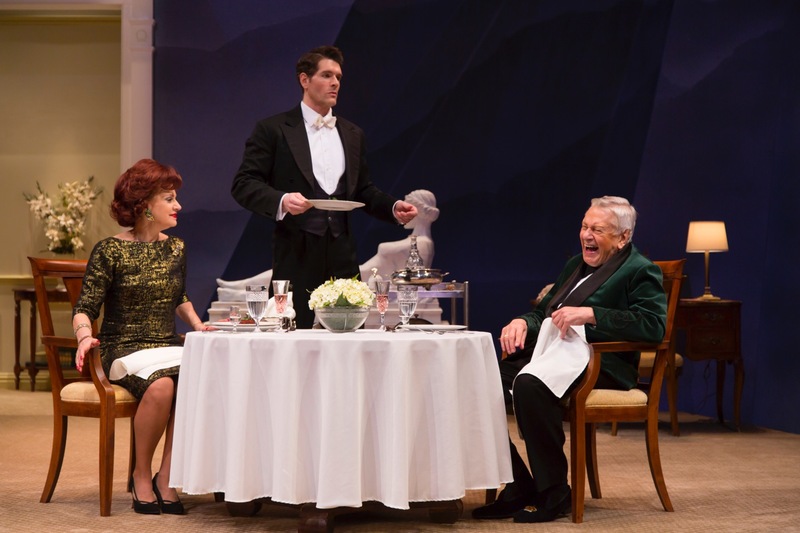 Yale School of Drama graduate Nicholas Carriere is also featured in Coward’s poignant comedy, which plays only 27 performances at Hartford Stage before the Westport run begins on April 29. One of the playwright’s last works (1966), A Song at Twilight takes place in a luxurious Swiss hotel, where a famous writer and his embittered wife await the arrival of his old flame – and her stack of incriminating letters. Coward’s brave and bittersweet tale examines the consequences of living a lie. Sir Noël Coward was an English playwright, composer, director, actor and singer, known for his wit, flamboyance, and what Time magazine called “a sense of personal style, a combination of cheek and chic, pose and poise”. His most famous works include the plays Hay Fever, Design for Living, Private Lives, and Blithe Spirit; the films Cavalcade and This Happy Breed; and the musicals Sail Away and The Girl Who Came to Supper. Actor, director and 2004 American Theatre Hall of Fame inductee Murray’s many Broadway credits include three Tony Award-nominated performances: Rosencrantz and Guildenstern Are Dead in 1968, The Little Foxes in 1997, and The Crucible in 2002. He also appeared in 2003’s Edgardo Mine at Hartford Stage. 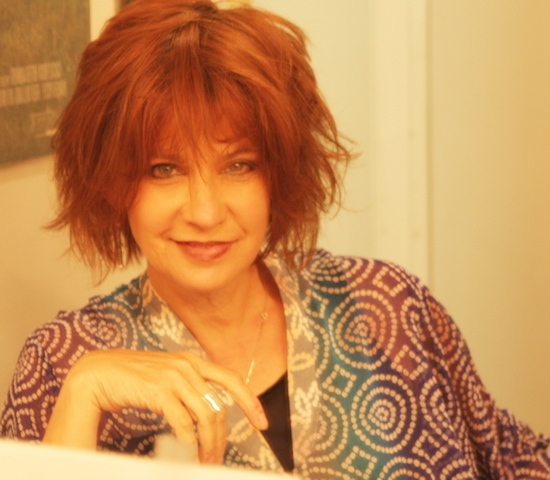 Dillon, winner of the 1982 Tony Award for Best Featured Actress in a Play for Crimes of the Heart, also appeared on Broadway in Da, Hay Fever, The Miser, Our Town, and Agnes of God. Carriere, who appeared at Yale Rep in All’s Well That Ends Well and The Cherry Orchard, most recently toured nationally in The Lion King. A longtime veteran of Hartford Stage, where she appeared in Othello, Light Up the Sky, Richard III, and Woyzeck, among many others, Rashovich’s Broadway credits include Conversations with My Father, Cymbeline and Old Acquaintances. One of her most acclaimed performances was in Hartford Stage’s production of A Shayna Maidel, which transferred to rave reviews Off-Broadway in New York. She won the Obie and Theatre World awards for the role. Presently Artistic Director at Westport Country Playhouse, Mark Lamos served as Artistic Director at Hartford Stage from 1980 to 1998. His New York credits include two Hartford Stage transfers, The Gershwin’s Fascinating Rhythm and Our Country’s Good (Tony Award nomination), and numerous Lincoln Center Theater productions, including Cymbeline, The Rivals, Measure for Measure (Lortel Award) and the Hartford Stage transfer of Seascape. Hartford Stage received the Tony Award for Outstanding Regional Theatre during Lamos’ tenure. To view a video of Lamos and other artistic and managing directors discussing the 50th Anniversary, visit www.50.hartfordstage.com. Designers for A Song at Twilight are Alexander Dodge, Set Designer (The Tempest and Bell, Book and Candle at Hartford Stage; A Gentleman’s Guide to Love and Murder, both in Hartford currently on Broadway); Fabio Toblini, Costume Designer (Hedda Gabler, The Tempest, and Bell, Book and Candle, Harford Stage); Matthew Richards, Lighting Designer (La Dispute, Macbeth, Twelfth Night, and Bell, Book and Candle, Hartford Stage); and John Gromada, Sound Designer (The Orphans’ Home Cycle, To Kill a Mockingbird, A Christmas Carol, and many more for Hartford Stage). The 50th Anniversary Season is made possible, in part, by Legacy Sponsors Travelers, United Technologies, and The Hartford. The anniversary season is also sponsored by the Greater Hartford Arts Council and the Connecticut Department of Economic and Community Development. Hartford Stage is especially pleased to announce that the 50th Anniversary Season is made possible, in part, by the extraordinarily generous Legacy Sponsorship of $250,000 from Travelers. Travelers has been a generous funder since the early years of Hartford Stage, generously supporting annual productions, educational programs, capital campaigns and other special events. Lia Chang is an actor, a performance and fine art botanical photographer, and an award-winning multi-platform journalist. Lia will make her jazz vocalist debut on March 1, 2014, in Rome Neal’s Banana Puddin’ Jazz “LADY” at the Nuyorican Poets Cafe in New York. Lia recently starred as Carole Barbara in Lorey Hayes’ Power Play at the National Black Theatre Festival in Winston-Salem, N.C., with Pauletta Pearson Washington, Roscoe Orman, Lorey Hayes, Marcus Naylor and Phynjuar. This entry was posted on February 27, 2014 by Lia Chang in Entertainment, Theater, Travel and tagged A SONG AT TWILIGHT, Backstage Pass with Lia Chang, Brian Murray, Gordana Rashovich, Hartford Stage, Lia Chang, Mark Lamos, Mia Dillon.